Researchers at the National Research Centre for the Working Environment in Copenhagen, Denmark, compared the effectiveness of Biofreeze topical analgesic and a placebo gel on reducing chronic pain and symptoms of carpal tunnel syndrome in slaughterhouse workers. 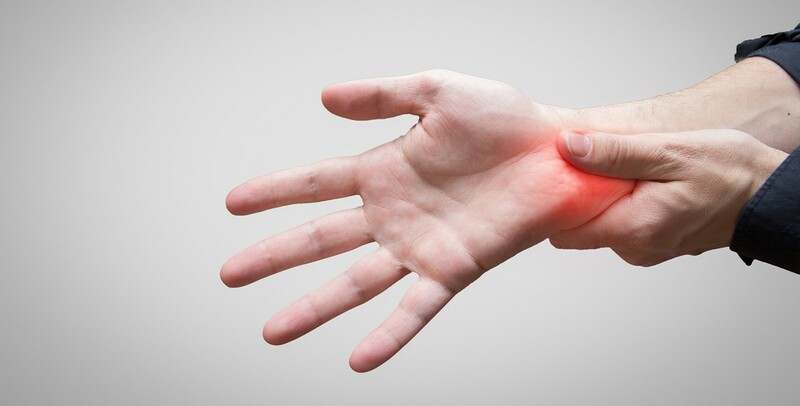 Compared to the placebo gel, carpal tunnel syndrome pain was relieved by topical analgesic, Biofreeze Pain Reliever by 31 percent. Carpal tunnel syndrome, a painful condition of the wrist and hand associated with repetitive movement and overuse, affects as many as 3 percent of the population. The painful symptoms result from median nerve entrapment due to inflammation of the tissues in the wrist. While prevention through education and ergonomic changes are ideal, many who suffer from carpal tunnel syndrome seek treatment for their pain. “Using Biofreeze to acutely reduce the pain associated with carpal tunnel syndrome may also help facilitate therapeutic exercise or other interventions, such as physical or occupational therapy,” said Lars L. Andersen, PhD, professor of musculoskeletal disorders, National Research Centre for Working Environment, Copenhagen, Denmark, and lead researcher. Conservative treatments often consist of physical or occupational therapy, bracing and/or oral medication. However, because of potential side effects from oral medications, there has been a shift in the pain management community towards topical pain relievers for treating musculoskeletal pain syndromes. In several published studies, Biofreeze topical analgesic has been shown to relieve pain in patients suffering with knee osteoarthritis, neck pain and low back pain. It’s thought that Biofreeze acts through a cryotherapy mechanism, where menthol activates cold receptors to reduce pain. The Denmark study, published in Rehabilitation Research and Practice, was triple-blinded, randomized and placebo-controlled, the highest level of research design. The study involved 10 workers with symptoms of carpal tunnel syndrome. The workers participated in two separate days of testing involving topical application of Biofreeze Pain Reliever, which contains menthol, or a placebo gel with a menthol scent applied to their arm, wrist and hand. Biofreeze and the placebo gel were packaged and labeled in the same manner so that each topical gel tube resembled the other. On the first day of testing, participants were randomly allocated to receive either Biofreeze or the placebo, and on the second day of testing, the participants received the contrasting treatment, thus acting as their own controls in a crossover design. The researchers measured the subjects’ pain immediately before and at one, two and three hours following application. Compared to the placebo, Biofreeze Pain Reliever reduced hand/wrist pain by 31 percent (1.3 points on a 0-10 visual analog scale). The pain reduction lasted at least three hours after application. Interestingly, the pain reduction lasted longer than the perceived cooling effect. The researchers reported a “moderate”-sized treatment effect (0.63) of Biofreeze Pain Reliever. It’s important to note that while Biofreeze decreased work-related pain associated with carpal tunnel syndrome, the workload and repetitive nature of the occupation must be adjusted. This is the first study to evaluate the effectiveness of Biofreeze on a neuropathic pain condition. Headquartered in Akron, Ohio, Performance Health is a leading designer, manufacturer and marketer of branded rehabilitation and wellness products sold into a variety of U.S. clinical markets, leading national retailers and in over 60 countries through a multi-national network of distribution partners. The company’s product offering includes an innovative line of market-leading topical analgesics and a broad range of rehabilitation and wellness products. Performance Health markets its diverse product offering under the well-known and highly recognized TheraBand, Biofreeze, Cramer, Bon Vital’ and Thera°Pearl brand names. Learn more at www.PerformanceHealth.com.